I have just tried VMware Fusion beta 2. It’s a free download at the moment. I can now run XP Pro and connect to my office network and run Office. I wasn’t able to do this before this beta version. The dual monitor (or multiple monitors) feature is not as easy as advertised. I couldn’t yet set all desktop on both monitors to show Windows but it’s working after all in unity mode. I have yet to run it for a prolonged period to see if it’s practically usable. 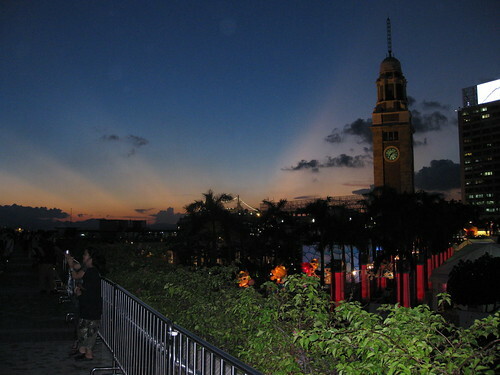 Got a new Camera recently it’s IXUS 970 IS, took below shot at TST. It is just that iMovie doesn’t like my shots taken at Disney. Other tapes are all OK whenever it comes to those taken at Disney the CPU load will increase as well as RAM used.